Providing families with access to a Billy goat is obviously essential for them to build up their own little flock from our Goat Loans. 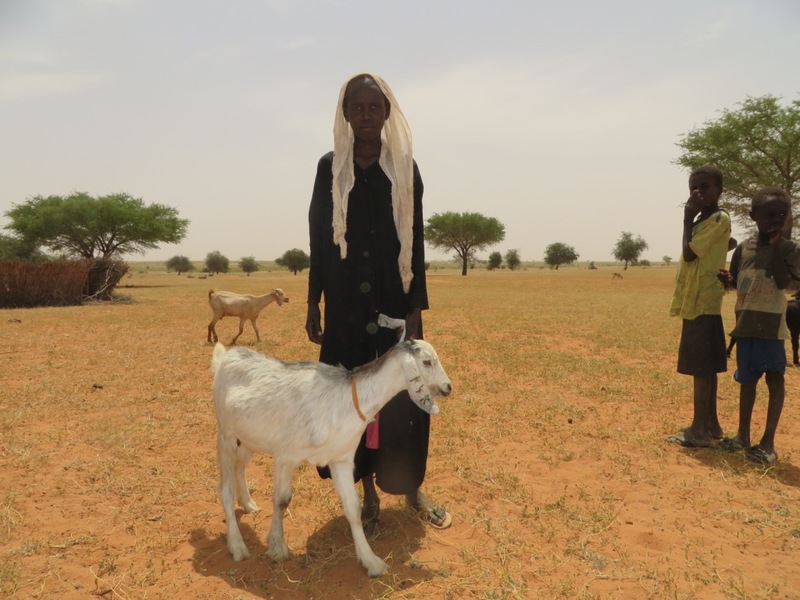 With all prices soaring in Darfur due to inflation at nearly 70%, and when so many Billy goats died in the recent drought, the cost for them has greatly increased. We must make sure we buy the best animals and provide good Billy goats, meaning we can no longer afford to lend one to each family. A pilot project sharing one Billy goat between three families has been successful, so our Goat Loan will now give each family five Nanny goats and a third of a Billy. Buying a Billy goat will now mean you are helping to transform the lives of three families! Billy goats are costing so much more now because many died last year and inflation is soaring, so, instead of giving one to each family, we are sharing them between three families. It works!